Panel on research challenges on Business Process Monitoring and Performance Analysis in the Cloud. 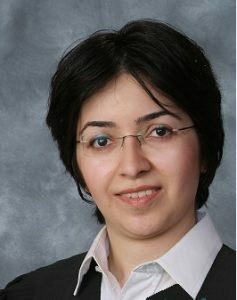 Dr. Ali Kanso is a senior Cloud Software Engineer at IBM T.J. Watson research center working on the IBM next generation container Cloud. He is also an adjunct research professor at Western University. 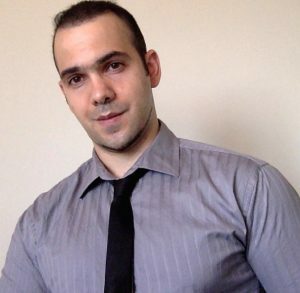 Dr. Kanso earned his masters and Ph.D. degrees in Electrical and Computer Engineering from Concordia University in Montreal Canada in 2008 and 2012 respectively. He holds to his credit over 50 publications including 12 patents granted and several pending. He previously held the position of a senior researcher at Ericsson research Cloud technologies. Dr. Kanso has over a decade of industrial research experience where his research interests are focused on distributed systems and lightweight virtualization in Cloud computing environments. Prof.dr.ir. Wil van der Aalst is a full professor of Information Systems at the TechnischeUniversiteit Eindhoven (TU/e). 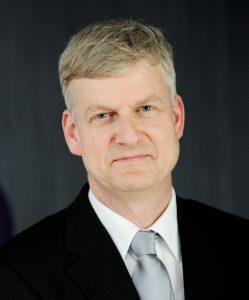 At TU/e he is the scientific diretor of the Data Science Center Eindhoven (DSC/e). Since 2003 he holds a part-time position at Queensland University of Technology (QUT). He is also a member of the Board of Governors of Tilburg University. His personal research interests include workflow management, process mining, Petri nets, business process management, process modeling, and process analysis. Wil van der Aalst has published more than 185 journal papers, 20 books (as author or editor), 420 refereed conference/workshop publications, and 60 book chapters. Many of his papers are highly cited (he one of the most cited computer scientists in the world and has an H-index of 126 according to Google Scholar) and his ideas have influenced researchers, software developers, and standardization committees working on process support. He has been a co-chair of many conferences including the Business Process Management conference, the International Conference on Cooperative Information Systems, the International conference on the Application and Theory of Petri Nets, and the IEEE International Conference on Services Computing. He is also editor/member of the editorial board of several journals, including Computing, Distributed and Parallel Databases, Software and Systems Modeling, the International Journal of Business Process Integration and Management, the International Journal on Enterprise Modelling and Information Systems Architectures, Computers in Industry, Business & Information Systems Engineering, IEEE Transactions on Services Computing, Lecture Notes in Business Information Processing, and Transactions on Petri Nets and Other Models of Concurrency. In 2012, he received the degree of doctor honoris causa from Hasselt University in Belgium. He also served as scientific director of the International Laboratory of Process-Aware Information Systems of the National Research University, Higher School of Economics in Moscow. In 2013, he was appointed as Distinguished University Professor of TU/e and was awarded an honorary guest professorship at Tsinghua University. In 2015, he was appointed as honorary professor at the National Research University, Higher School of Economics in Moscow. He is also a member of the Royal Netherlands Academy of Arts and Sciences (Koninklijke Nederlandse Akademie van Wetenschappen), Royal Holland Society of Sciences and Humanities (Koninklijke Hollandsche Maatschappij der Wetenschappen) and the Academy of Europe (Academia Europaea).